You ready for some great food ideas for this week? 1. This Creamy Thai Sweet Potato and Lentil dish from Pinch of Yum is awesome as a snack, side or meal. 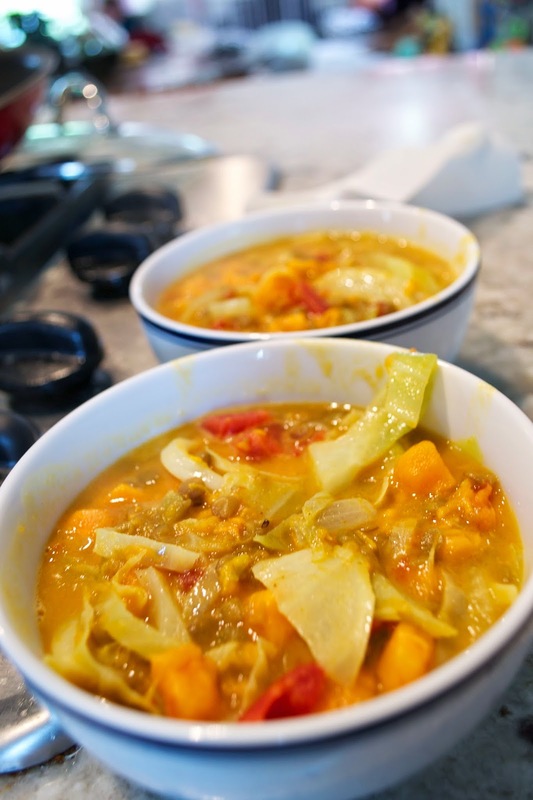 My version (pic above) came out more soupy than their version so I'm not sure if I was supposed to drain the sweet potato/lentil combo or cook it until all the liquid was gone but I'm going to definitely make it again since it was so yummy. 2. From How Sweet It Is we made this Honey Chipotle Salad. We've made this a couple of times and I honestly want to put this coconut lime quinoa on top of all of my salads now. The marinade for the chicken is also amazing, although you have to remember to marinade it at least 2 hours before... something we have a really hard time remembering to do. 3. Lastly for this week is Garlic Mushroom Quinoa from Damn Delicious. I tried to make this as a main dish but it would do much better as a side to something very flavorful. Or, you could try and spice this up with a bit more seasoning. As a base it was great... just not a full meal. What were your favorite recipes of the week?